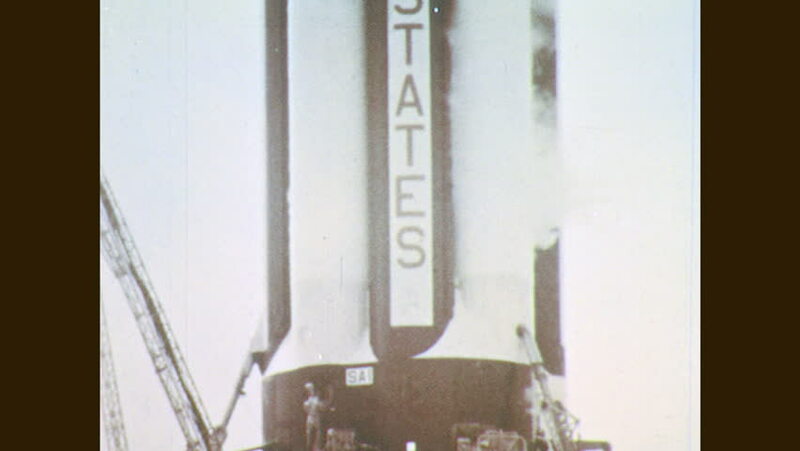 1960s: Rocket booster on platform. Man looks through telescope. Rader dishes. Crowd gathers. Women with binoculars. Launch site. Rocket on platform. Rocket ignites on platform. Rocket engines fire.